Baltic amber earrings. 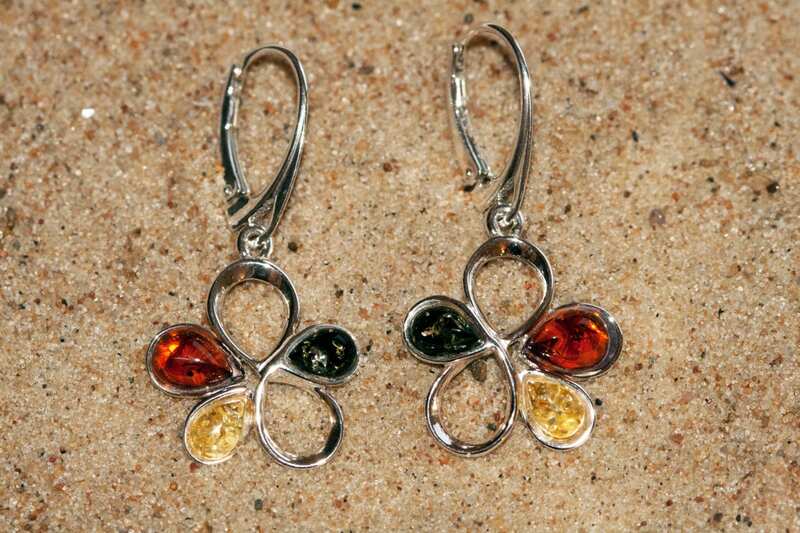 Multicolor amber and sterling silver flower shaped earrings. We are happy to present multicolor amber earrings fitted in modern sterling silver setting. 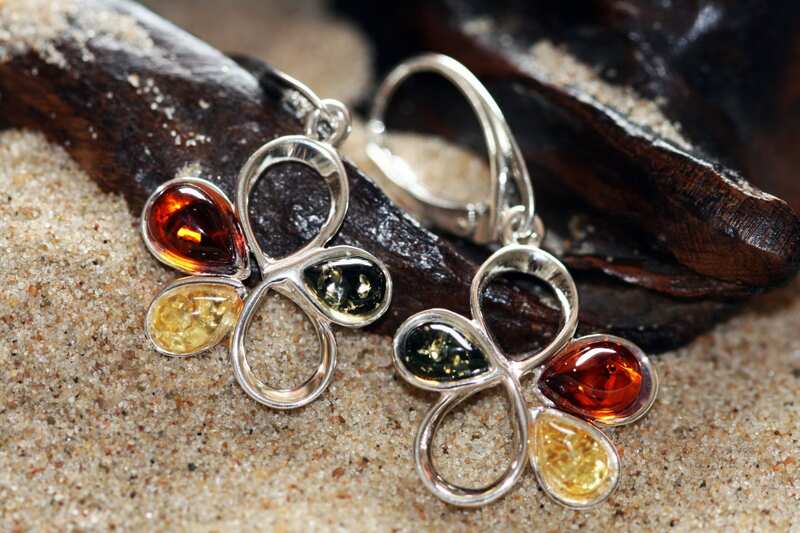 Amber in yellow,green and cognac shades in delicate but not small sterling silver setting. This unique and elegant design will decorate nicely every ears. Size of the design: 38 mm length, 18mm width. Weight - 4,1g. Perfectly polished cognac, yellow and green Baltic amber set in 925 sterling silver setting.